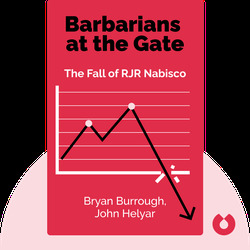 Barbarians at the Gate (1989) tells the story of one of the largest corporate deals in US history, the leveraged buyout of RJR Nabisco. These blinks provide a gripping portrait of the extreme and extravagant behavior in corporate America during the 1980s. 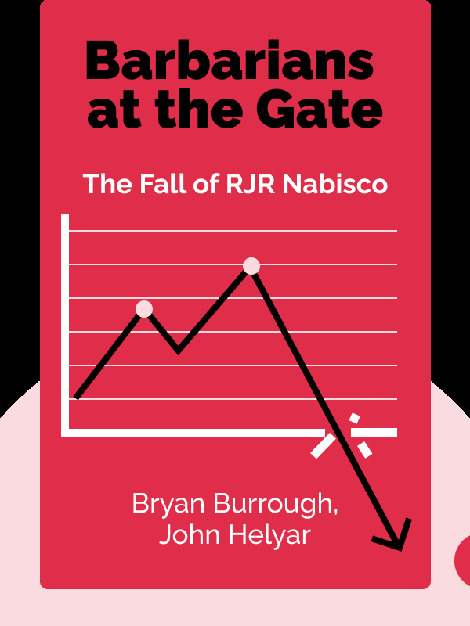 Bryan Burrough and John Helyar are investigative journalists who covered the story of RJR Nabisco’s buyout as it happened. Their in-depth research and extensive interviews paint a fascinating picture of a unique period in the history of Wall Street.